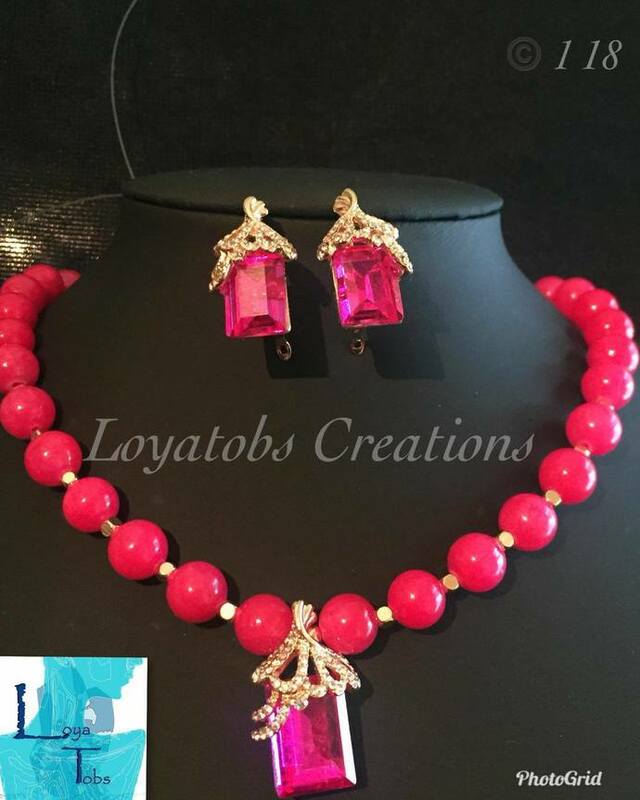 A unique everyday set made with Fuchsia Jade beads. * Size 8mm fuchsia jade beads. * Pendant and Earrings support a large fuchsia stone in the setting.